With a little over three weeks of the summer holidays left, we are starting to think about returning to school and work. As a family, we always make our own lunches to take to work, uni, and school. It is more economical, the food is fresh and healthy, and we get to eat exactly what we like. Sandwiches are always quick to prepare, but with a bit of planning you can make a whole range of other delicious lunches. 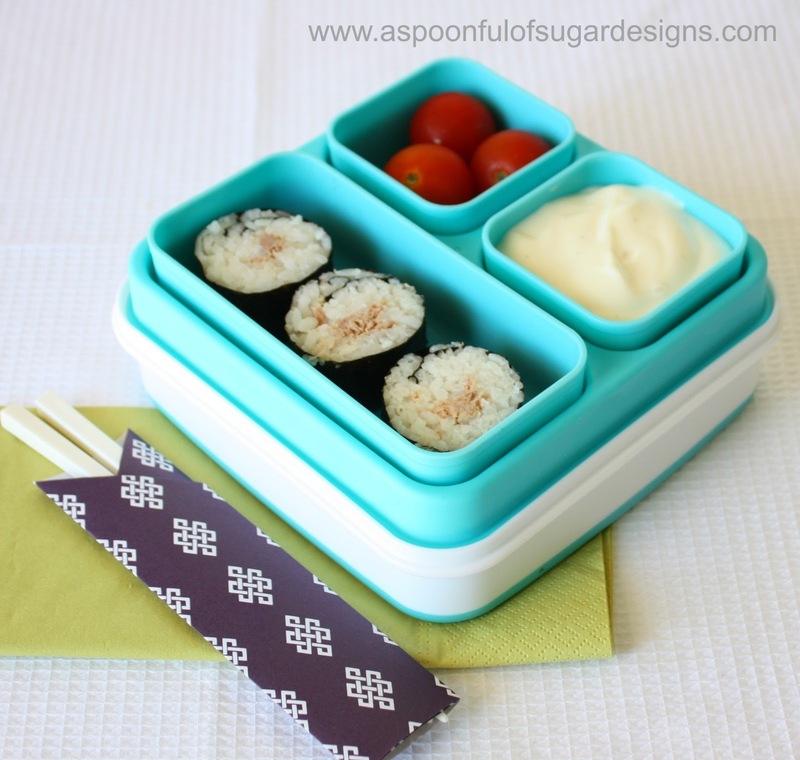 With this in mind, we have put together some of our favourite lunch box ideas. Australia is in the midst of a heat wave at the moment. 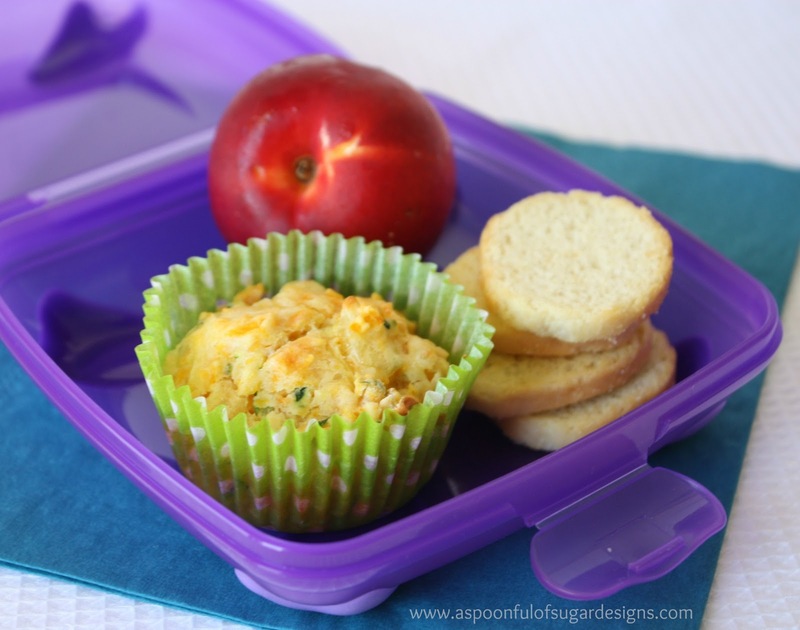 Keeping lunches cold, fresh, and appetizing when they are sitting in a backpack all day is a challenge. Sarah and I headed off to Target to check out the latest in lunch boxes and were pleased to see some new products to keep drinks cold and lunches fresh. We were most impressed with the lunch boxes and sacks with freezeable gel components which will keep everything cold. 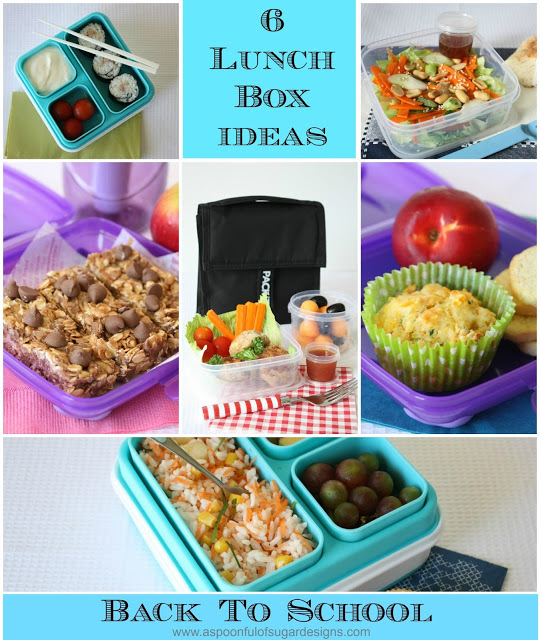 We have put together 6 of our favourite lunch box ideas (+recipes) for delicious back to school eating. 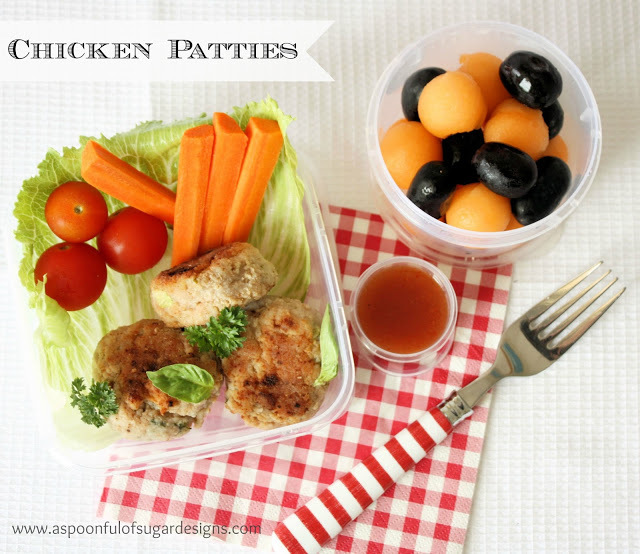 Chicken Patties are delicious cold with some sweet chili sauce, cherry tomatoes and carrot sticks. 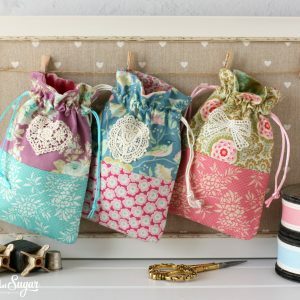 We packed ours with a tub of black seedless grapes and rockmelon (cantelope) balls. Mix all ingredients together in bowl. Shape into small balls. Roll in flour. Cover and refrigerate for 30 minutes. Cook in an electric frypan for 5 mins each side or until cooked through. 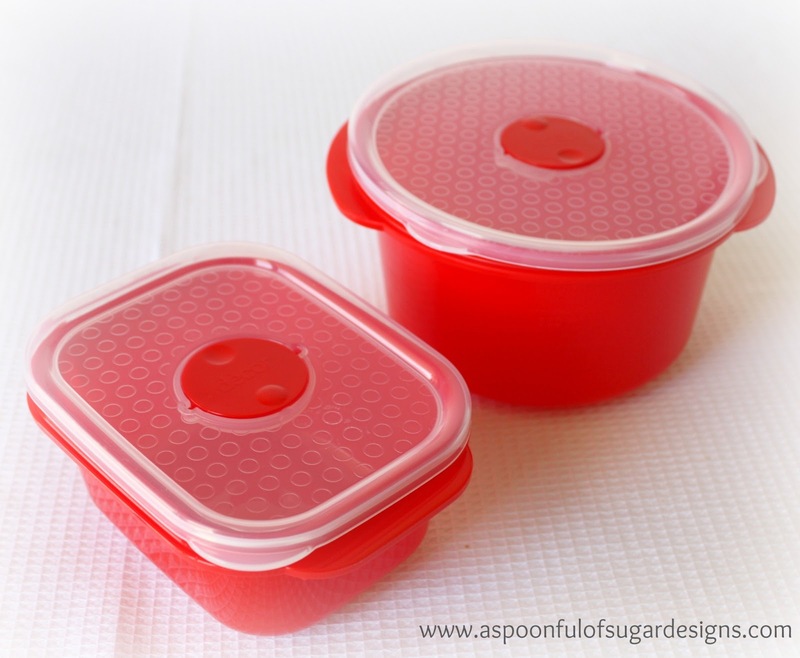 Chicken Patties, Sweet Chili Sauce, and Fruit stored in Decor Tellfresh Containers. Lunch stored in a Packit Cooler Bag. 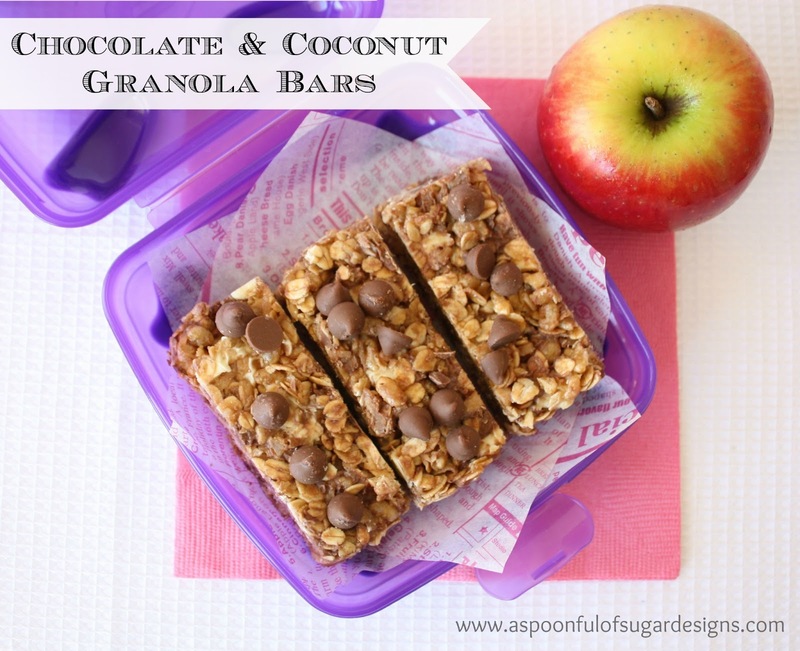 Who needs to buy muesli bars when you can make your own Chocolate and Coconut Granola Bars! This is a no-bake recipe – so easy that you can get the kids involved. Line a 20 x 20 cm (8×8 inch) baking pan with aluminium foil and set aside. Add the butter, brown sugar and honey to a small saucepan. Cook over medium heat, stirring frequently, for about 2 to 3 minutes, until the butter is melted and the sugar has dissolved. Add the vanilla and stir to combine. In a large bowl, combine oats, coconut and rice bubbles. Add butter mixture and stir until well combined and coated. Transfer the mixture to the prepared baking pan. Use a spoon to press the mixture down firmly into the pan. Evenly sprinkle the chocolate chips on top and press those down firmly as well. Place the pan in the refrigerator for about 30 to 45 minutes. When set, carefully lift out of the baking pan using the aluminium foil. Cut into rectangles. One granola bar with a piece of fruit and fresh water makes a great snack. Granola Bars stored in Smash Brights Sandwich Box. Water stored in Cool Gear EZ Freeze Pure Freezer Filtration Bottle. 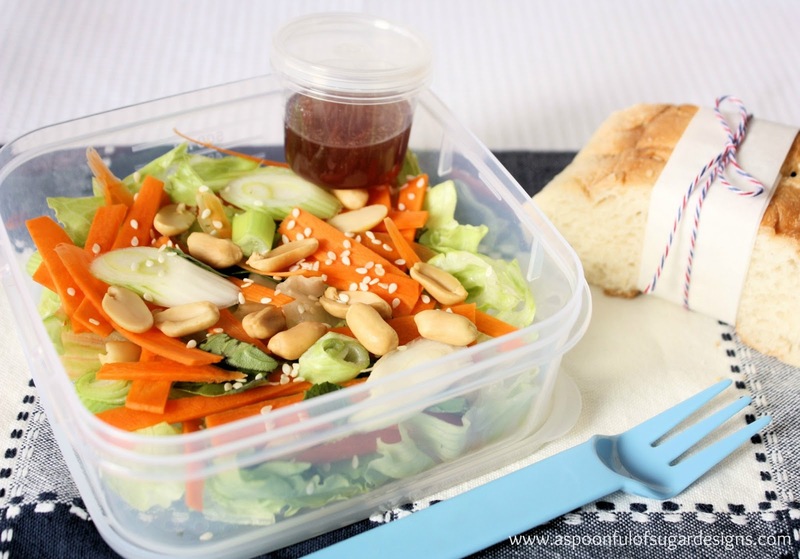 Fresh salad is perfect for hot weather – either at school or in the office. 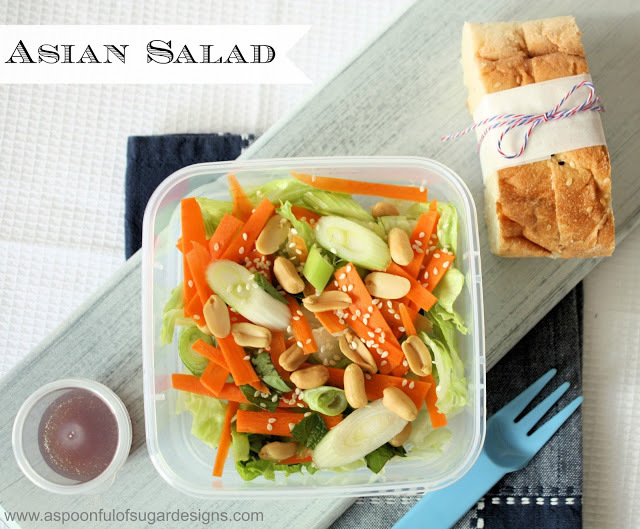 Salad can be made the night before, with the dressing added at lunch time(we love the little Decor dressing tubs). Add some sliced Turkish bread or a wrap for a satisfying lunch. Sarah has added peanuts to her salad – check your school’s policy on nuts, and omit if necessary. Combine vegetables in a large bowl. In a small bowl, whisk soy sauce, oil and honey. Add to vegetables and top with seeds and nuts. Note: If giving to a child for lunch at school omit nuts and use vegetable oil. Salad and dressing stored in Decor Tellfresh Containers. Vegetable Muffins are delicious cold or warm. 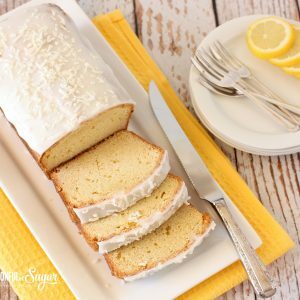 You can bake up a big batch and freeze them for a couple of weeks. Pack them in the lunch box while frozen and they will be defrosted and ready for lunch. Serve with some crustini toasts and a nectarine. Preheat oven to 180 deg C (355 deg F). Line 18 muffin pans with liners. Sift flour and salt together into a large bowl. Add the carrots, pumpkin, zucchini, cheese, and chives. Toss to combine. Make a well in the centre. Whisk the eggs, milk and butter in a large jug. Pour into the centre of the vegetable mixture and fold until just combined. Spoon the mix into prepared pans and bake for 16 – 20 mins, or until a cooked. Eat plain or served with butter. 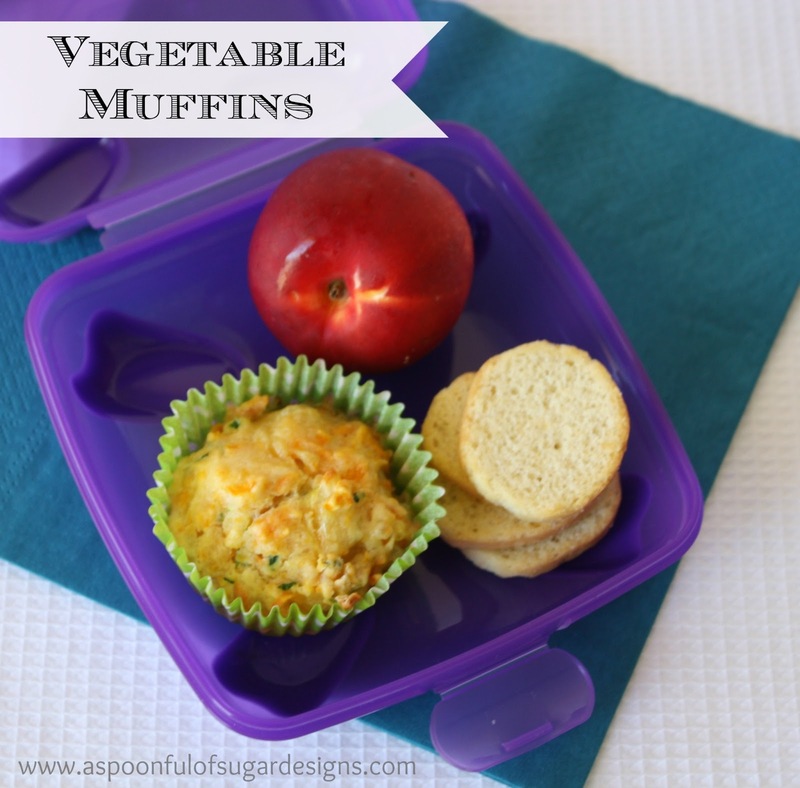 Vegetable Muffins stored in stored in Smash Brights Sandwich Box. 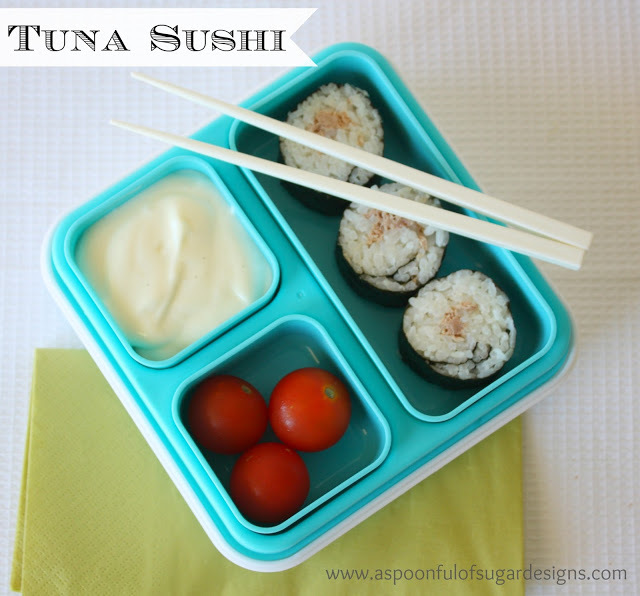 Sushi is perfect for lunch, and can be made with some many different fillings. We like ours plain so filled it with tuna, but you could use teriyaki chicken, salmon, cucumber, and avocado. Served in a Collapsible Bento Box with a freezer tray, it will keep food cold for up to 4 hours. Sprinkle rice vinegar over cooled rice and mix. Place nori seaweed, shiny side down on the bamboo rolling mat. Spread vinegared rice evenly over the nori, keeping about 2 cm at the far end of the sheet free from rice. Place the drained tuna in a line along the front edge of the nori. Roll the nori using the bamboo mat. Wet the exposed edge with a little water. The rolls can be eaten whole or sliced. 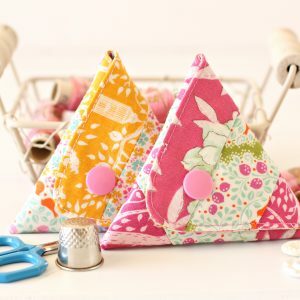 You can find the instructions for the origami chopstick wrappers here. 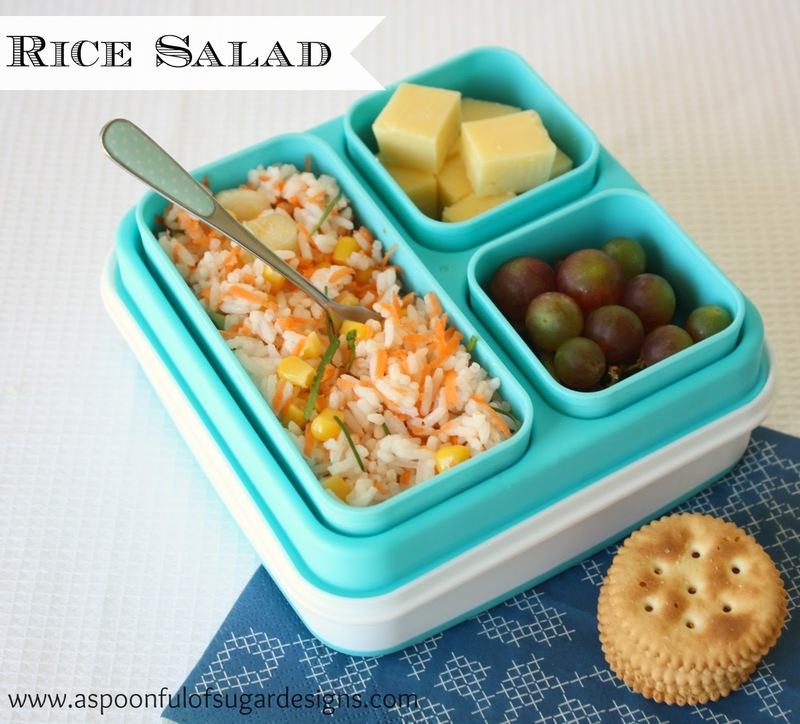 Another favourite school lunch is Rice Salad. You can quickly make this the night before from left over rice. We teamed ours with some cheese, crackers, and red seedless grapes. Bring two cups of water to the boil in a medium saucepan. Add rice and cook on low for 20 minutes. Cool. Mix in vegetables. Note: Other vegetables such as zucchini, capsicum etc. can also be used. 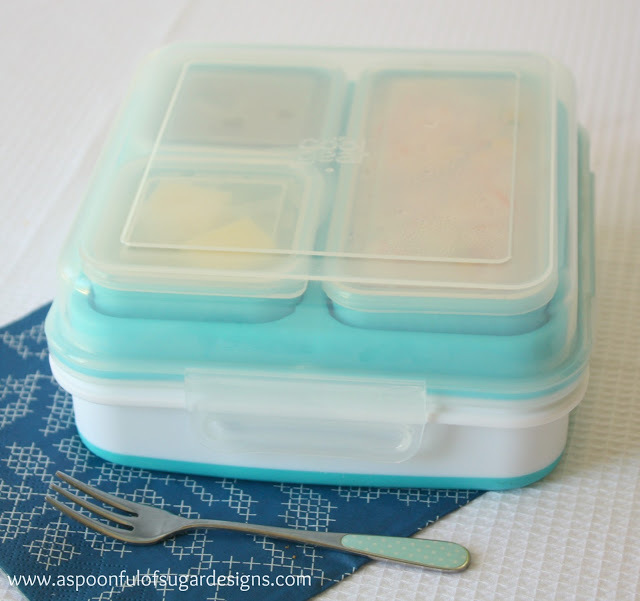 For work lunches, stock up on some Decor Microsafe containers, and fill with left overs. If you are looking for affordable lunch boxes to equip your children for the new school year, check out the huge range in store at Target. What are your favourite school lunch box ideas? 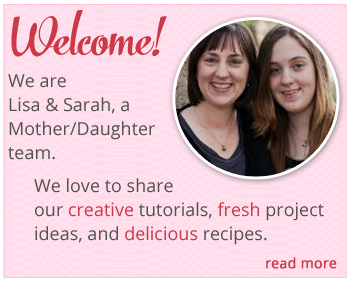 There are some great ideas here Lisa and Sarah. Thanks for sharing. I’m going to try more than one of these! This is such a fabulous list of lunch ideas! I am always struggling with what to pack for lunch. I get tired of a cold sandwich and an apple. 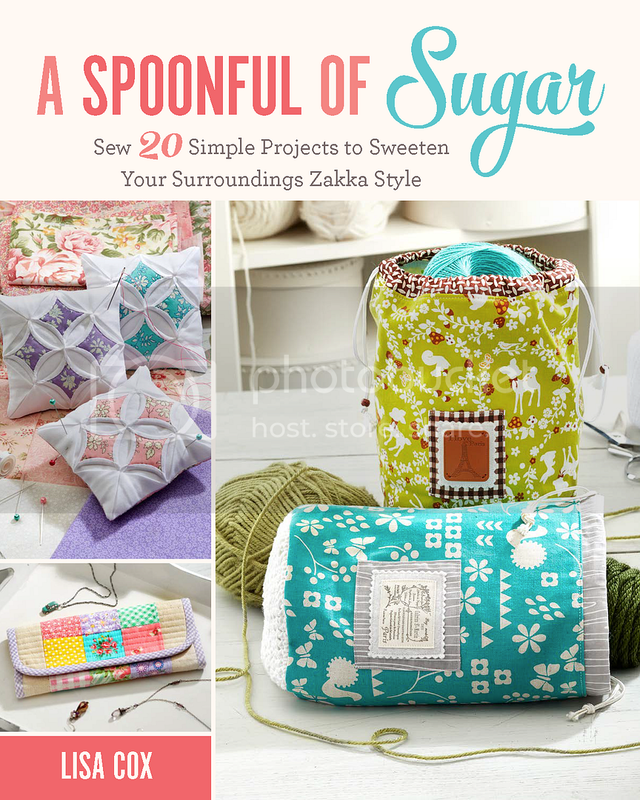 My semester starts next week, so I am exciting to try a few of these ideas. Thank you! Such a great post! My eldest takes lunch with him every day and I am always looking for new ideas. 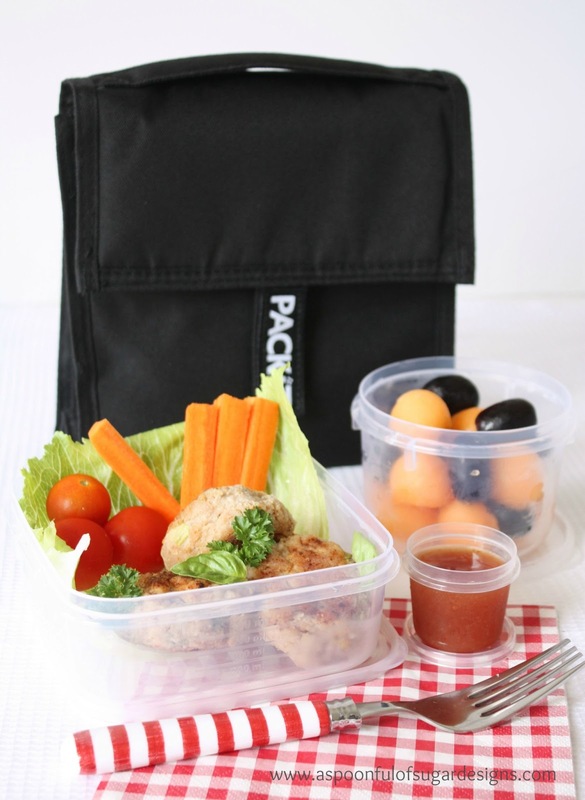 That Packit Cooler Bag looks good. My girls like to take breakfast for lunch. 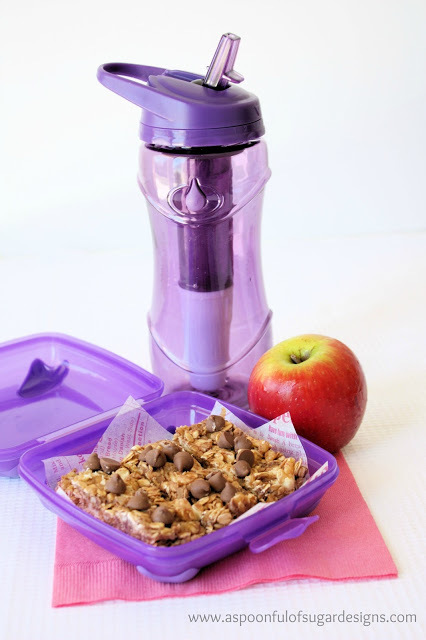 A lidded container with a healthy cereal works well when they buy a milk at school to pour over it (or packed with the lunch in an insulated thermos). We add some fresh fruit and a hard boiled egg to round out the meal.